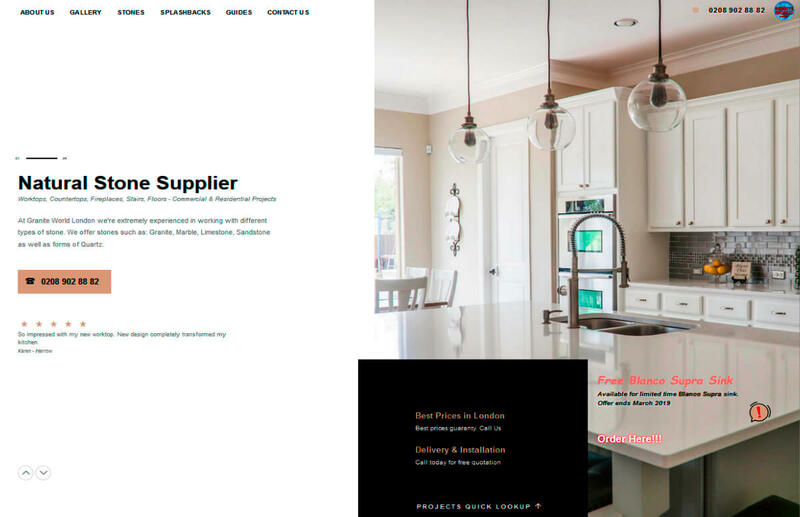 This new web design for the company based in Greenford beautifully represents its profile. 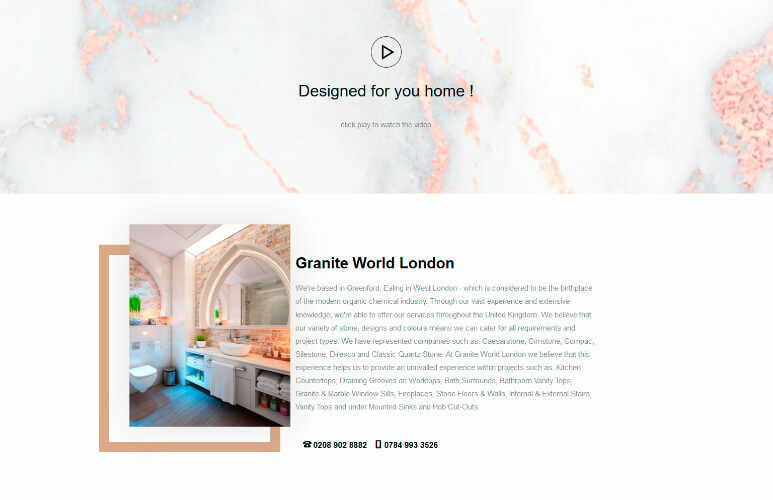 Granite World new web design with a simplified layout will draw attention to most visitors and improve their navigation through the website. GWK new website was developed based on the bootstrap framework and embedded to a bespoke WordPress panel. 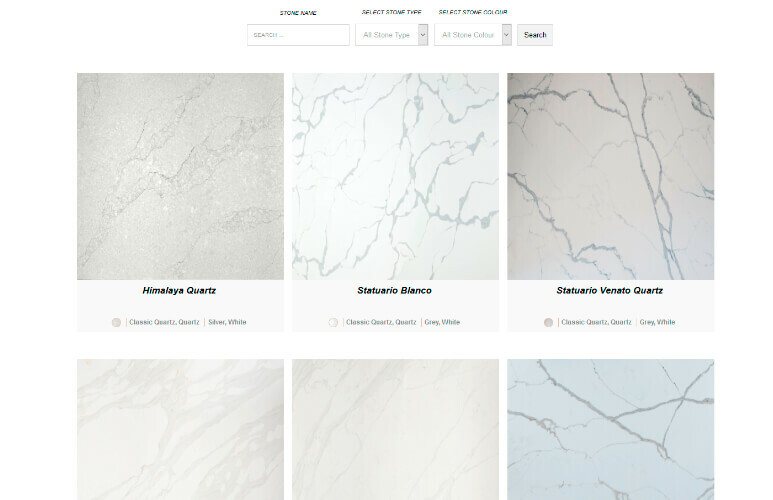 With its new functionality new website allows users to search granite, marble, quartz and limestone products. Visitors can specify name, colour or material to search through over 460 products. The results are instant, allowing potential clients to read more about the product and place an order. We have several gallery levels allowing the owner of the business to add their new project. There is one main gallery collection listing all projects by date and five subpage galleries listing projects by category.